is Barrington Motor Works Publications? After more than forty years of motorcycle riding and wrenching, and more than twenty years of the restoration and construction of our personal BMW motorcycles, we, Christopher and Barbara Betjemann, established Barrington Motor Works, LLC in 1999 to share what we had learned and knew about the vintage BMW motorcycle with other BMW vintage motorcycle enthusiasts. Christopher, a former emergency physician who had retired, needed something to direct his considerable energies and abilities toward. 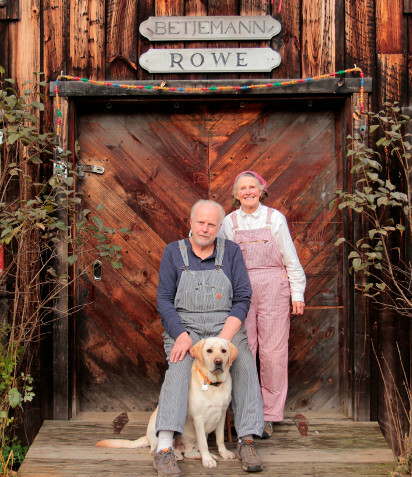 And Barbara, an artist and Christopher's lifelong partner, shared that dream. Over the years of restoration of our own BMW motorcycles and the creation of a number of vintage BMW specials, we had not only acquired and developed a significant armamentarium of skills, but had also established friendships and business relationships with many talented and experienced individuals both in the United States and in Europe who, like us, wanted to contribute to the vintage BMW motorcycle community. Although we enjoyed the restoration of vintage BMW solo and sidecar machines, we also took great interest in the building of both vintage BMW race machines and cafe machines for the street. 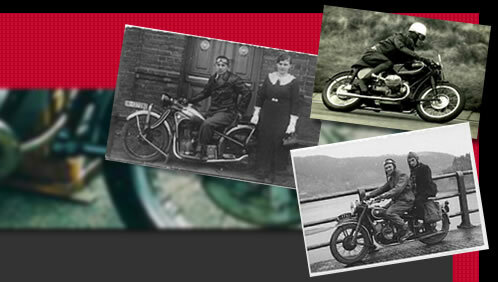 Approximately ten years after establishing Barrington Motor Works, LLC we wrote the first of what was to be five vintage BMW motorcycle restoration and service manuals. Now, in late December 2019 we are announcing the publication of the fifth such manual, the 2019 revision and enlargement of the Barrington Motor Works Publications BMW R50-69US Motorcycle Restoration and Service Manual as well as the passing of the Barrington Motor Works, LLC restoration shop management and operation torch and ownership to our good friend and full time employee of several years, Andrew "Ande" Kahora, who has demonstrated to us his ability to carry the shop torch into the future in the same manner in which we have carried it for twenty years. While Ande builds vintage BMW engines, transmissions, final drives and motorcycles in the Barrington Motor Works shop, we will continue to bring vintage BMW motorcycle restoration and service manuals to the vintage community. The 2019 new and expanded Barrington Motor Works Publications R50-69US Restoration and Service Manual. 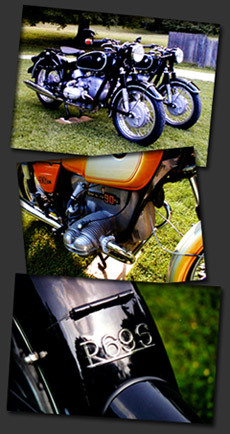 The Barrington Motor Works BMW R26-27 Restoration and Service Manual. The Barrington Motor Works BMW R51/3-68 Restoration and Service Manual. Having said the above, join us and enjoy our website, seeing photographic and written essays about some of the machines that have passed through our shop. With the continued demand for information on the BMW R50-69US motorcycles, on the tenth year anniversary of the writing of the original BMW /2 manual, we thought it time to look back and put the manual through a major update and revision. The two year update and revision work has produced a larger and heavier manual with 126 more pages and four more hot sheets than its 2014 predecessor. The first shipment of the new expanded, updated and revisedThe Barrington Motor Works R50-69US Motorcycle Restoration and Service Manual were delivered to us on March 14, 2019. We are now accepting orders for the new expanded, updated and revised manual. As done with our other books, the first one hundred copies of our updated and revised manuals ordered through this website will be both numbered and signed. We will begin fulfilling orders for the new book immediately. 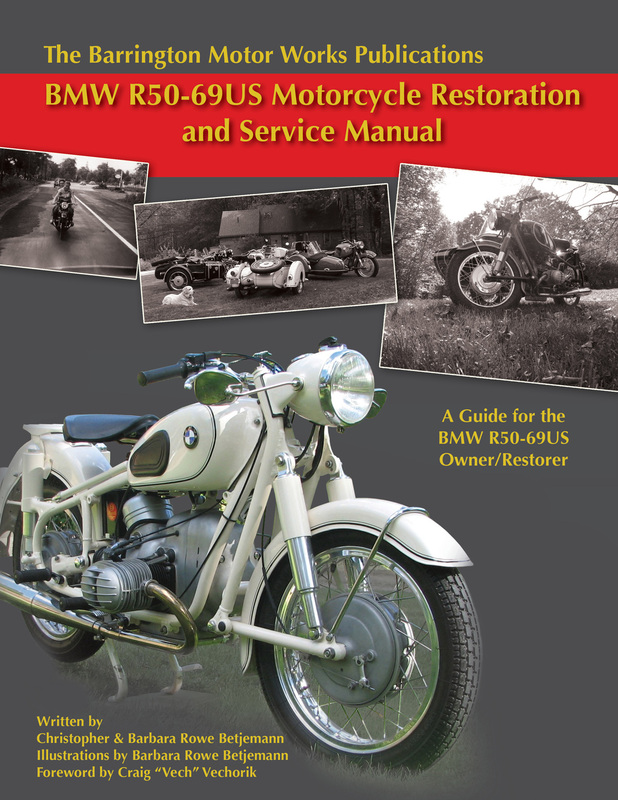 Please go to the “Buy BMW R50-69US Manual” button on the left side of this page to learn more about The Barrington Motor Works Publications BMW R50-69US Motorcycle Restoration and Service Manual which is applicable to the 1955-69 BMW R50, R50/2, R50S, R50US,R60, R60/2, R60US, R69, R69S and R69US machines and how you may purchase your copy. 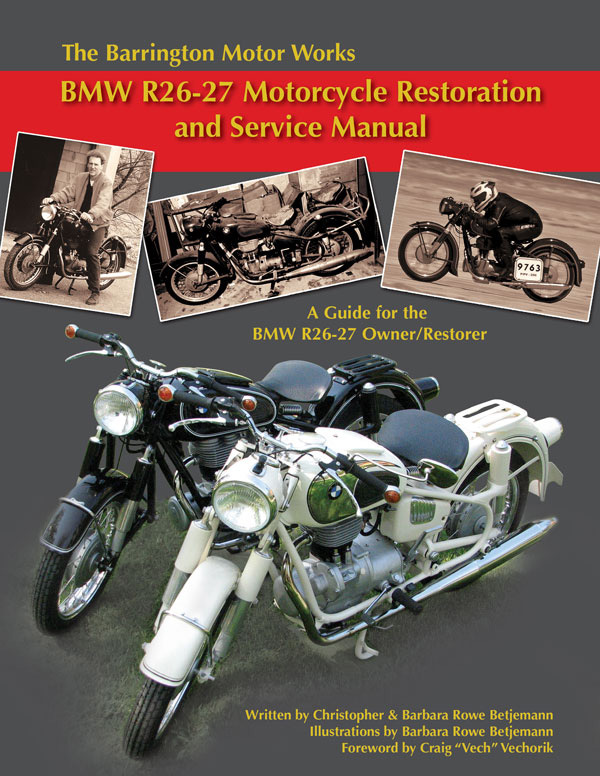 Please go to the "Buy R26-27 Manual" button on the left side of this page to learn more about The Barrington Motor Works BMW R26-27 Motorcycle Restoration and Service Manual which is applicable to the 1956-60 BMW R26 and 1960-66 BMW R27 and how you may purchase your copy. Note that significant portions of the manual crossover to the earlier BMW R25, R25/2 and R25/3. The Barrington Motor Works BMW R26-27 Motorcycle Restoration and Service Manuals are currently in stock and packaged for immediate shipment. 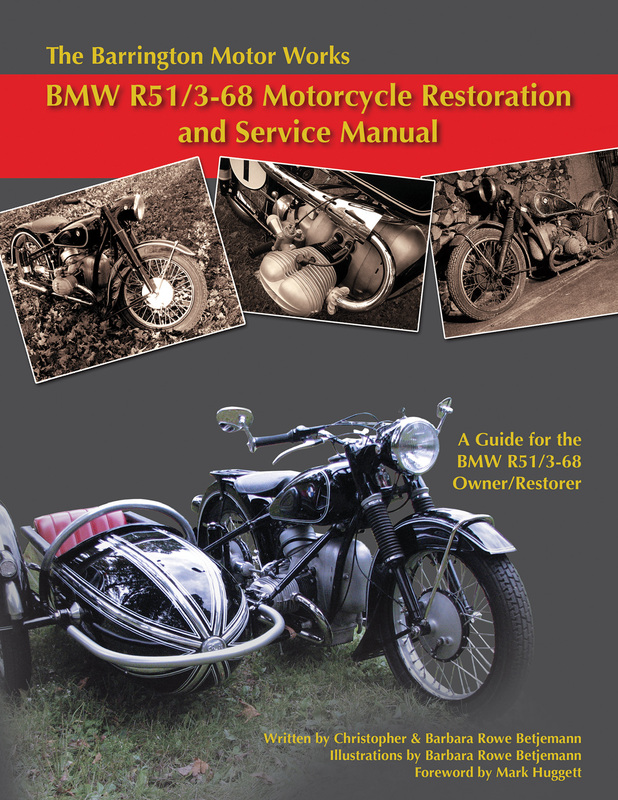 Please go to the "Buy R51/3-68 Manual" button on the left side of this page to learn more about The Barrington Motor Works BMW R51/3-68 Motorcycle Restoration and Service Manual which is applicable to the BMW R51/3, the three R67’s and the R68 machines of the early 1950’s and how you may purchase your copy. The Barrington Motor Works BMW R51/3-68 and BMW R50-69US Motorcycle Restoration and Service Manuals are currently in stock and packaged for immediate shipment. The Barrington Motor Works R51/2 Engine Rebuild Manual will address the one year only 1950 BMW R51/2 twin camshaft engine and, when accompanied by our BMW R51/3-68 manual, will serve the R51/2 owner well. References will be made to other significant differences from the BMW R51/3-68 machines as well. Much of this engine manual will be in many ways applicable to the earlier BMW twin camshaft engines as well.